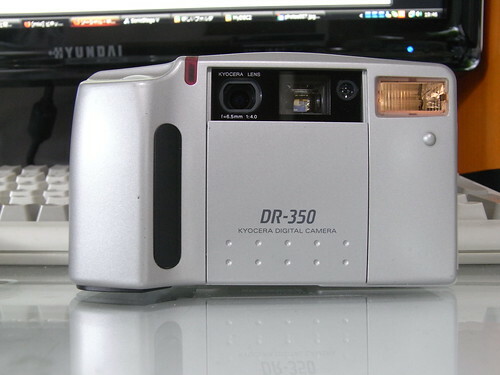 The DR-350 is a 1997 digital camera from Kyocera, preceding their "Finecam" series. The camera records JPEG images in VGA resolution (640×480 pixels) onto CompactFlash storage cards. 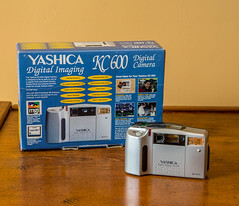 It seems that the same camera was also sold as the Yashica KC 600. After limited success competing in the digital-camera arena, Kyocera withdrew from manufacturing cameras in 2005. A photo set using the DR-350 by datsusaramode on Flickr. This page was last edited on 27 March 2018, at 10:31.